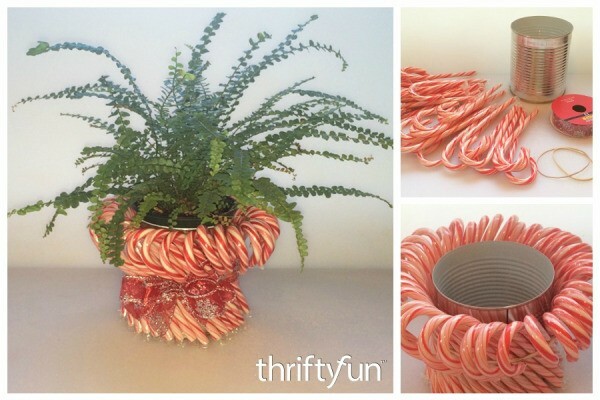 Here is a cute planter made from candy canes and a recycled tin can. Learn how to make it in this short video. This is a guide about making a candy cane planter. Create this cute planter for the holidays and then eat it later.